" A food tonic possessing the beneficial properties of blood serum and rich in haemoglobin. for children, ten drops in each bottle of milk during the first year, increasing by ten drops in milk, four times a day, for each year thereafter. Depots, London, Paris & Christiana." 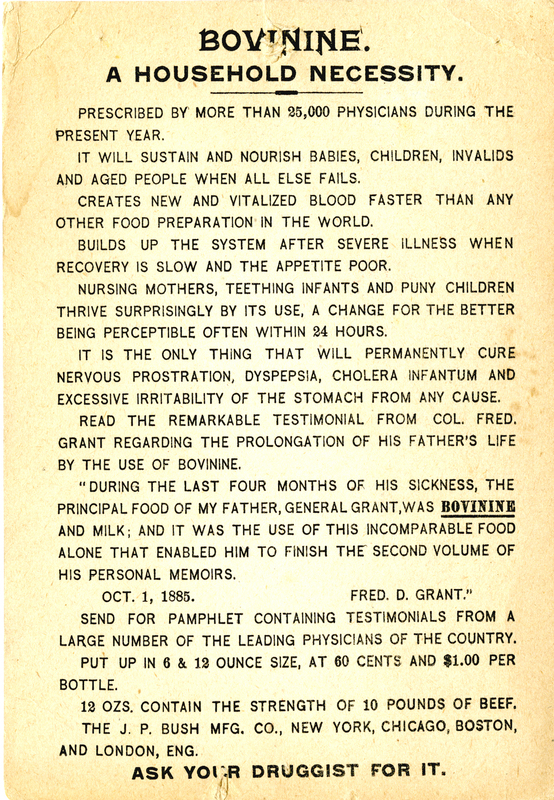 Side of label reads: "Always dilute the dose with twice or thrice the quantity of milk or other fluid, adding a little salt and pepper, if the condition of the patient will permit. Keep in a cool place."